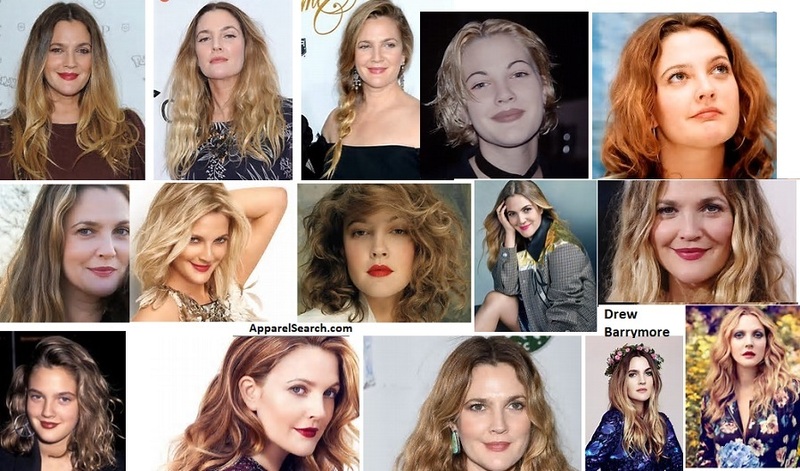 Drew Barrymore Fashion Celebrity Directory - Guide to Celebrity Fashion, Celebrity Style, and Celebrity Glam. The Glamorous side of fashion. Drew Blyth Barrymore is an American actress, film director, producer, and model. She is a descendant of the Barrymore family of well-known American stage and cinema actors, and she is the granddaughter of film legend John Barrymore. She first appeared in an advertisement when she was 11 months old. Barrymore made her film debut in Altered States in 1980. Afterwards, she starred in her breakout role as Gertie in Steven Spielberg's E.T. the Extra-Terrestrial. She quickly became one of Hollywood's most recognized child actresses, going on to establish herself in mainly comic roles. Following a turbulent childhood which was marked by recurring drug and alcohol abuse and two stints in rehab, Barrymore wrote the 1990 autobiography, Little Girl Lost. She successfully made the transition from child star to adult actress with a number of films including Poison Ivy, Bad Girls, Boys on the Side, and Everyone Says I Love You. Subsequently, she established herself in romantic comedies such as The Wedding Singer and, later, 50 First Dates. In 1997 she and business partner Nancy Juvonen formed the production company Flower Films, with its first production the 1999 Barrymore film Never Been Kissed. Flower Films has gone on to produce the Barrymore vehicle films Charlie's Angels, 50 First Dates, and Music and Lyrics, as well as the cult film Donnie Darko. Barrymore was also involved in projects such as He's Just Not That into You, Beverly Hills Chihuahua, Everybody's Fine and Going the Distance. Apparel Search has selected Drew Barrymore as a fashion celebrity. Apparel Search guide to Drew Barrymore photos, Drew Barrymore videos, Drew Barrymore news, Drew Barrymore blog posts and more. If you are interested in fashion and style, you will be interested in Drew Barrymore. A fashion celebrity, in the opinion of Apparel Search, is a person that has celebrity status and is often watched and judged for what they wear. What is your opinion of Drew Barrymore? Share your comments or questions in the discussion area below.